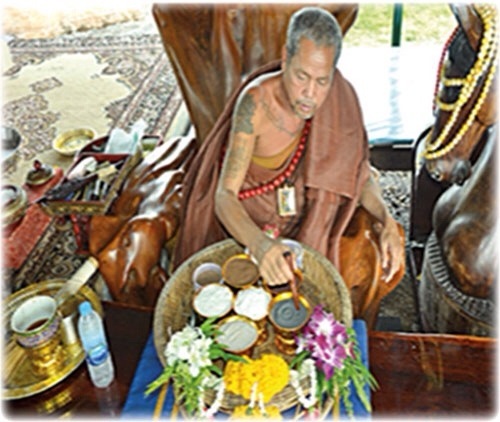 Somdej Jitralada 2539 BE-109 Monks Blessing-With Certificate. 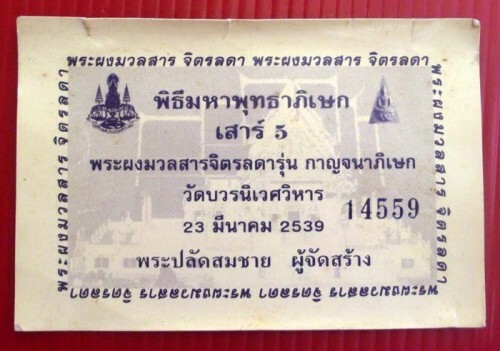 Comments Off on Somdej Jitralada 2539 BE-109 Monks Blessing-With Certificate. 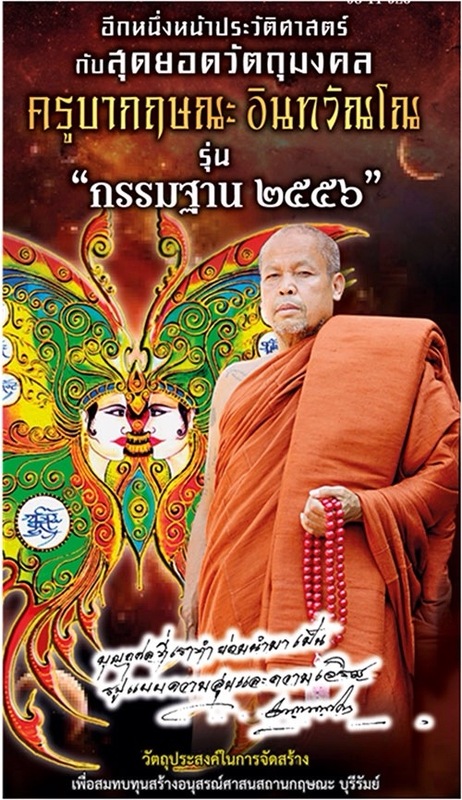 Pra Somdej Pong Muan Sarn Jitralada was empowered in 2539 BE by 108 Great Master Guru Monks from around Thailand. 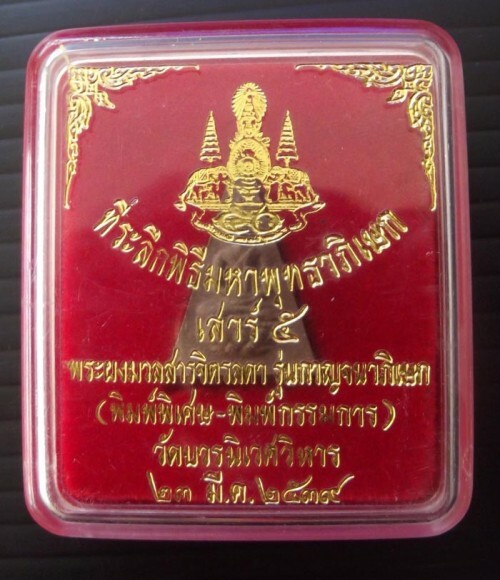 The Amulet actually recieved double empowerment Ceremony, with the first ocasion being on the 13th of February, with Somdej Pra Puttajarn Wat Saket presiding and lighting the Victory Candle, and 108 other Masters to perform the Incantations. 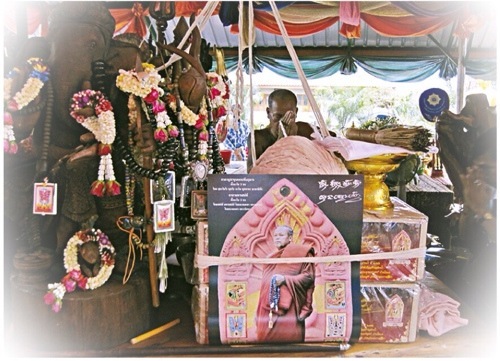 This Edition Celebrated the Golden Anniversary of King Bhumipol Adulyadej’s (Rama 9 ) Reign. 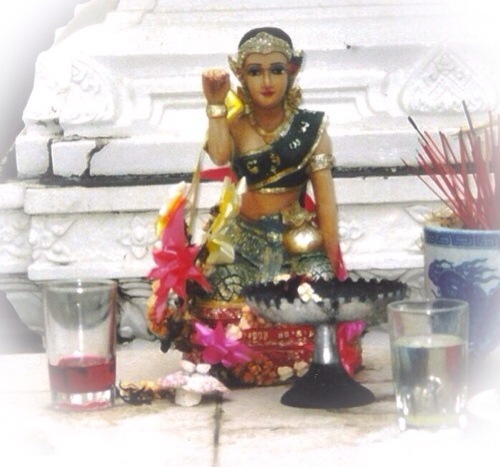 The second occasion was on Sao Ha day (fith Lunar Saturday) on 24rd March and was performed once again inside the Uposadha of Wat Bovornives Voraviharn. 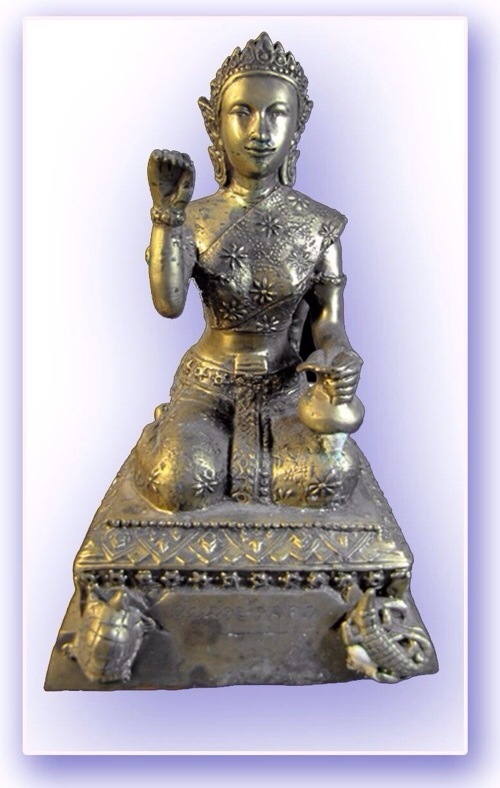 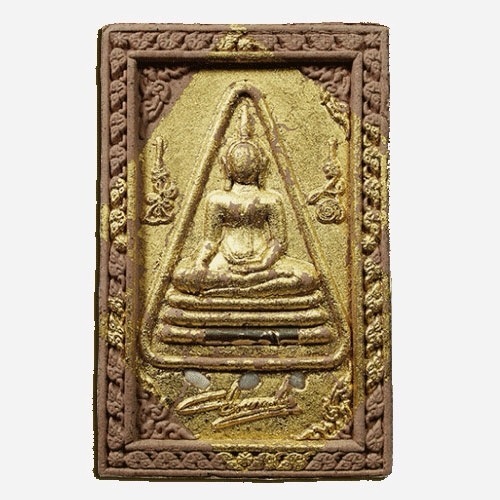 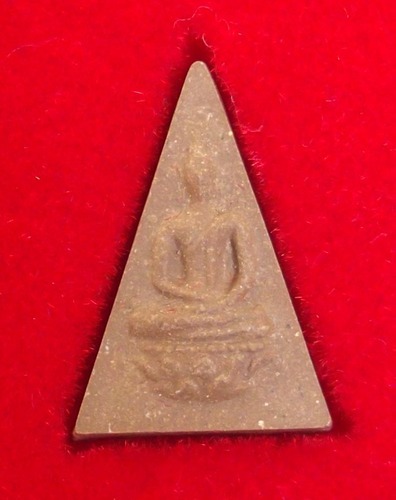 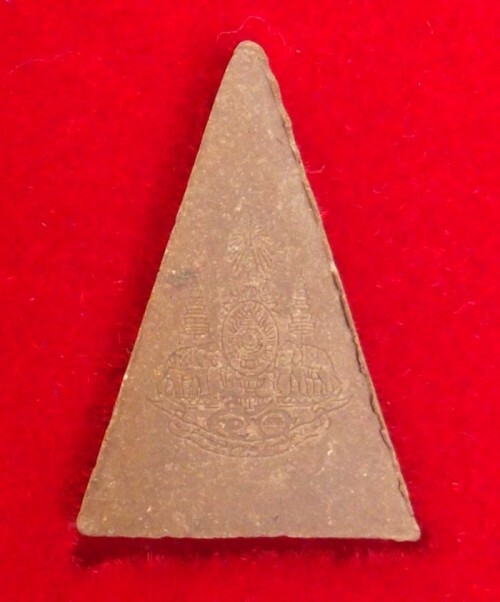 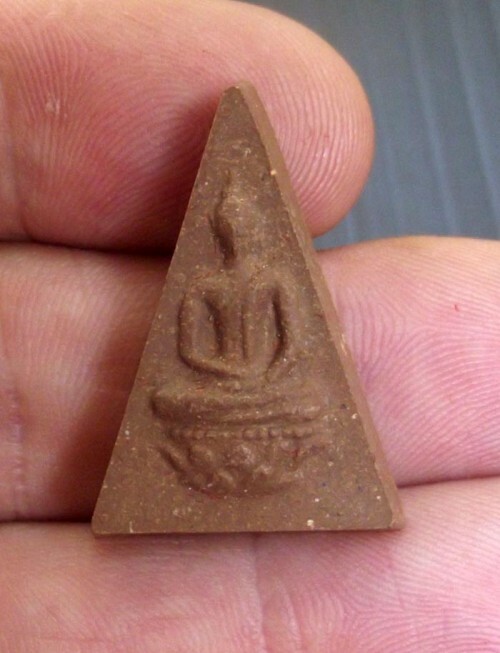 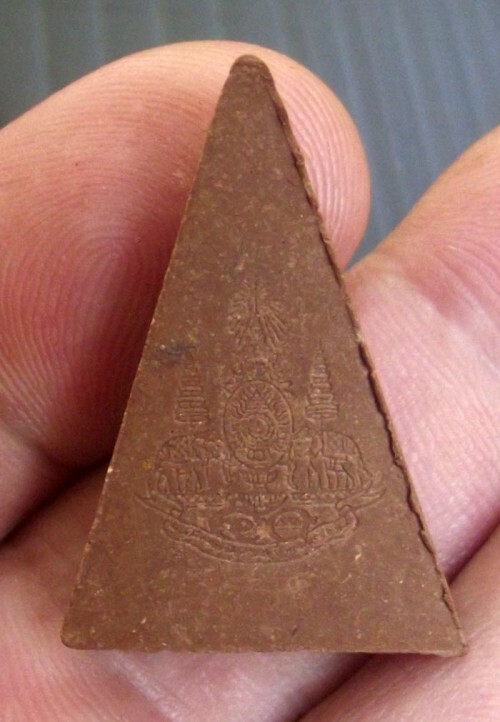 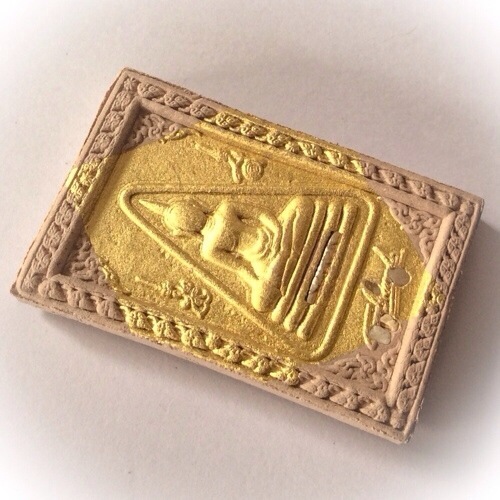 The amulet is very rare to find, and is a very preferred and revered amulet in Thailand, not only because of the Major Puttapisek Ceremony, but also because of the nature of the Muan Sarn Powders and the Pim itself (model of amulet), and its Royal Connections. 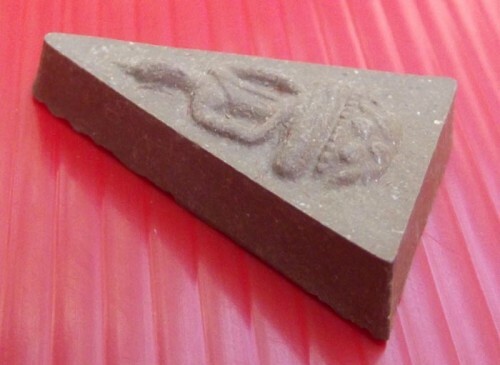 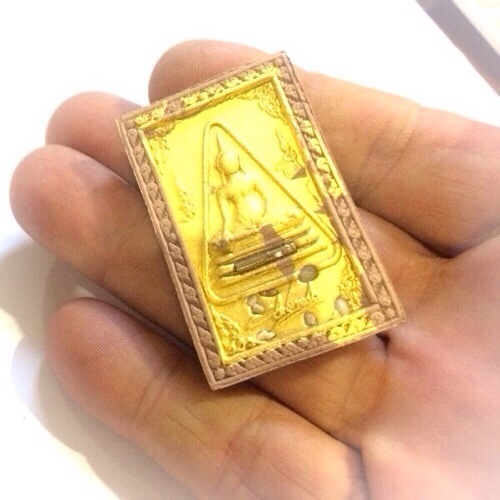 The amulet was created to raise funds for the building of an Uposadha shrine room at Wat Ampuworaram in Patum Tani, as part of the celebrations of 50 years of King Bhumipol Adulyaded’s Reign. 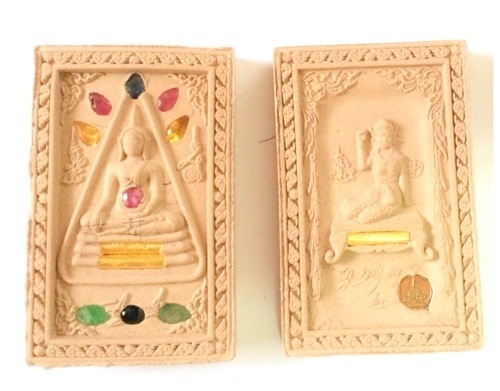 The Royal 50th Anniversary of Reign Emblem is embossed on the rear face of this Classic Rare Buddhist Collectors Amulet, Comissioned and Empowered by the Sangkaracha and 108 of Thailands Greatest Master Monks. 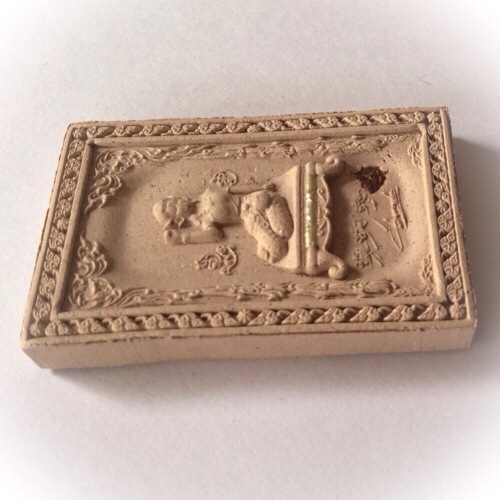 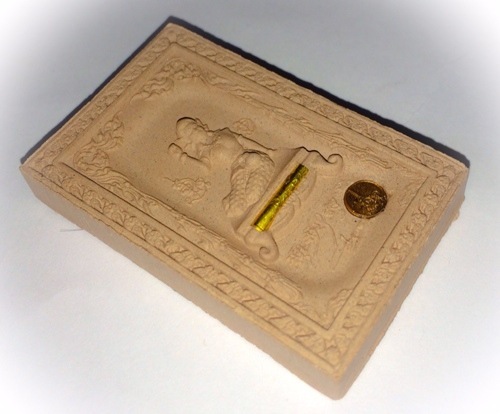 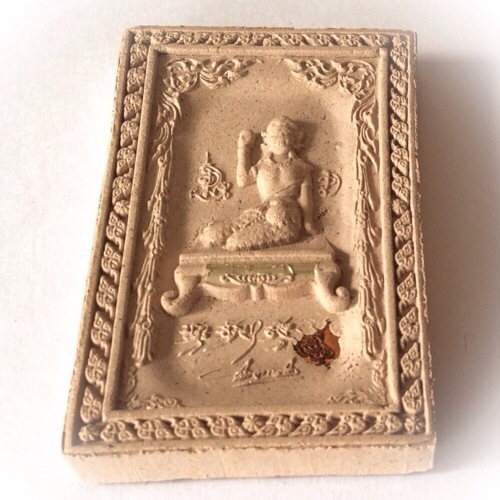 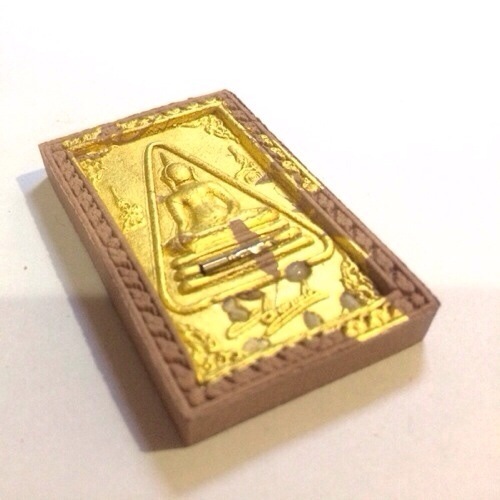 The Amulet comes with Original Temple Box, and Authenticity Card with Limited Edition Code Number 14559. 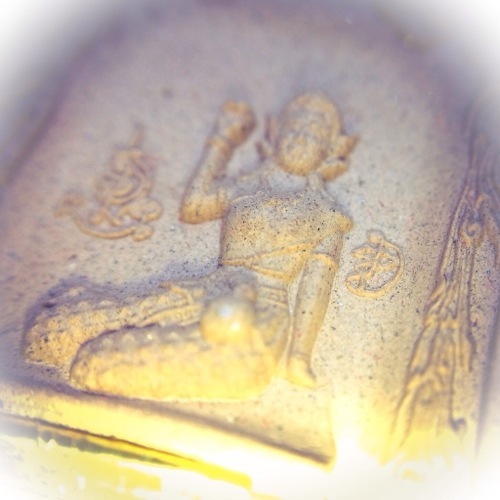 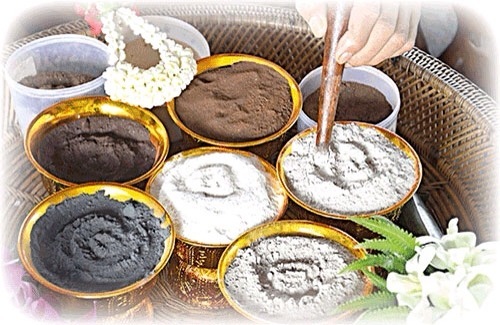 The Sacred Muan Sarn Powders contained powders from the First Kingly Edition of Somdej Jitralada, from the later Edition of Pra Pong Jitralada Krongarn Luang CP, old and famous editions of Pra Pong Pairee Pinas, Pong Pra Sasada, Khaw Sarn Hin, and hairs of the Sangkaracha Monk, Powders from Pra Smdej Wat Rakang, and Wat Gaes Chaiyo amulets, Wat Pak Nam Sacred Somdej Powders of Luang Por Sodh, powders from various Great Masters including Luang Por Pae, Luang Por Kasem Khemago, Luang Por Koon, Luang Por Utama, Luang Por Pern, hairs of Luanf Phu Lar of Phu Jor Gor, and many sacred powders from famous masters and amulets around the country. 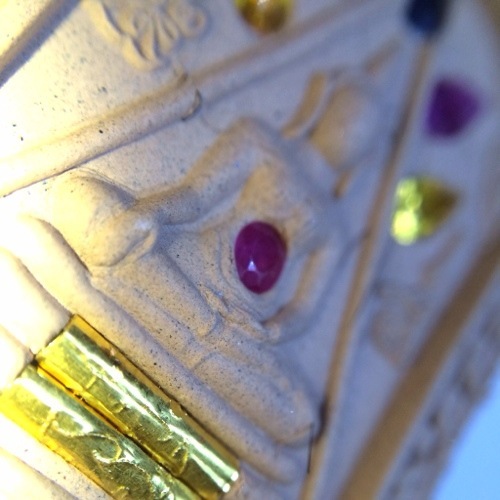 Each amulet had a limited edition code number. 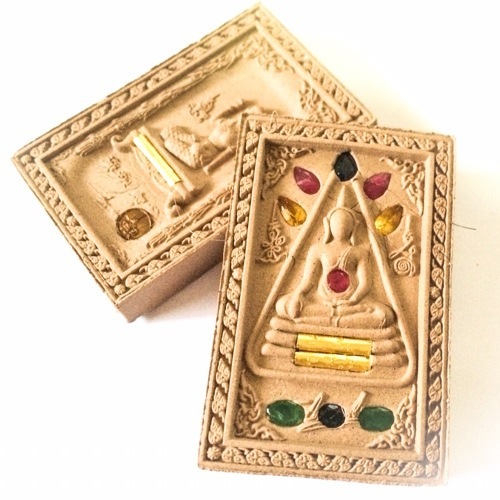 This version was the special Gammagarn Pised, with a rich content of Jitralada powder mix. 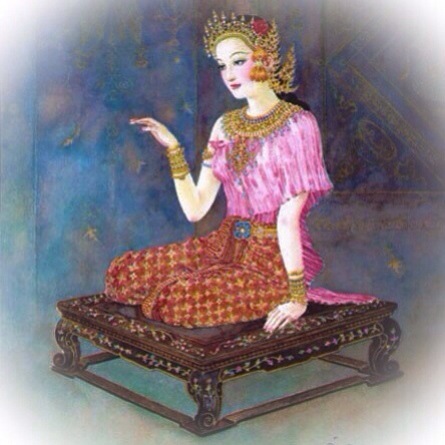 The Pong Jitralada was a Muan Sarn composed by His Majesty the King for the making of the Original Somdej Jitralada, also of His Majesty’s Design, which contained his Hair, as one of the ingredients of the Muan Sarn. 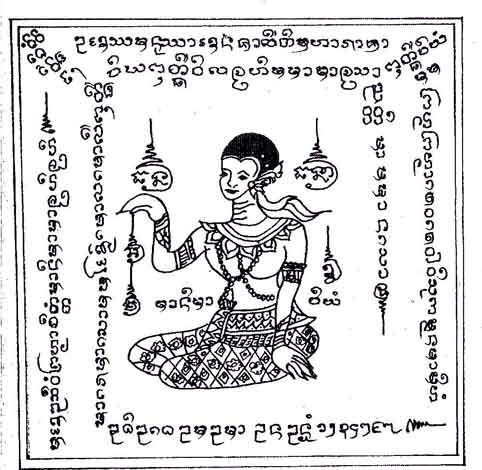 The Amulets themselves were Sponsored by Kroo Palad Song Chai. 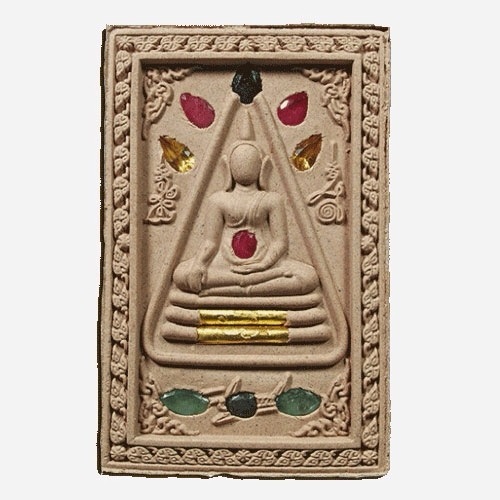 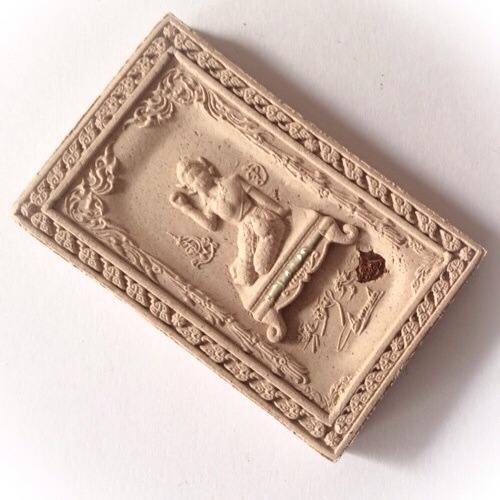 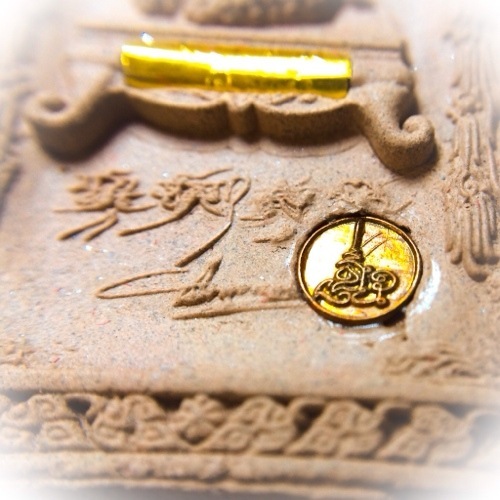 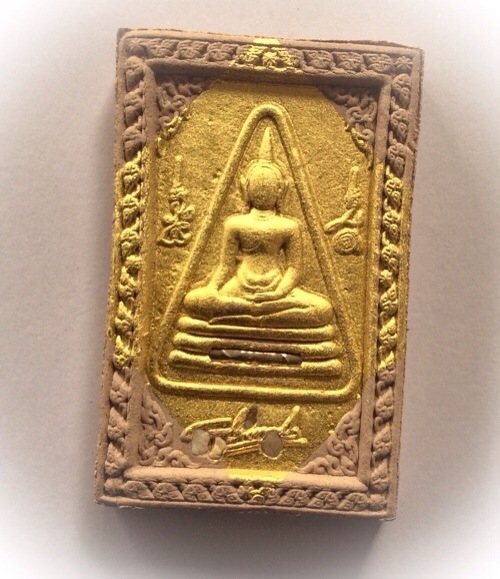 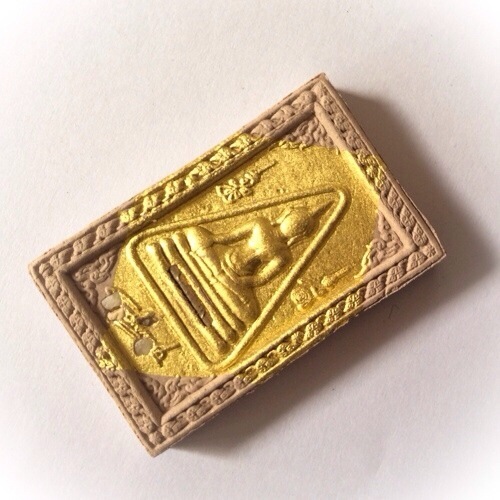 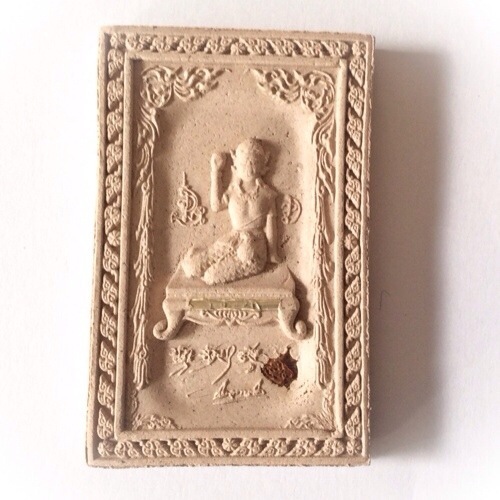 « Luang Por Sotorn Pink Gold Buddha coin amulet-Major Blessing Crermony.